News Media, There's A War On Elephants. Act Like It. But why isn't there continual coverage? There may be as few as 250,000 elephants left in Africa, according to some conservationists. What's the hold up? Perhaps the conventional wisdom is that wildlife isn't worth the ink. I disagree. As a journalist dedicated to reporting on animal issues, nearly all of them are brimming with news-worthy elements: poverty, climate change, land-ownership issues, gender imbalance, rural plight, global trade, corruption, and blatant abuse of power. Maybe another excuse is that, in a world where human desperation is rampant, why spend precious journalistic time on the plight of elephants? 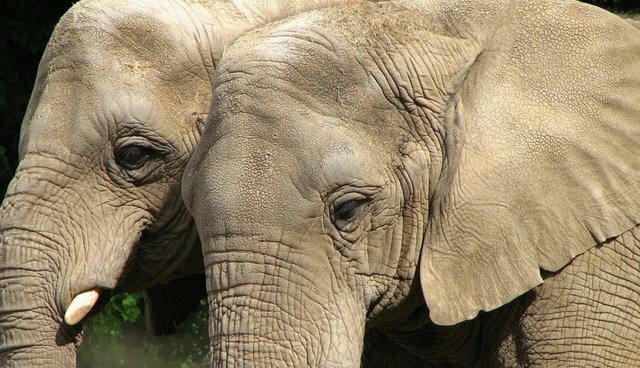 Last week, a public radio editor asked me to write an essay about "Why should elephant poaching in Africa matter to Americans?" I thought of answering that question with the pat scientific response: Elephants are instrumental to a healthy ecosystem. Or, with a social tenor: Elephants care about their families; they mourn their dead; they are self-aware. But, frankly, I find journalists who want proof about "Why elephants matter" already assume they don't. And maybe this is the rub. Not long ago, a wildlife conservationist told me that he doesn't rely on the mainstream media as much as he did years ago because his organization can create its own website content. But, he also stressed that the news titans like The New York Times or the Washington Post still matter. A lot. They are the game changers. When they decide to steadily cover an issue, other media outlets follow the lead. Journalism, for good or ill, is a herd profession. And when the pack leader decides something is news, suddenly it is news, and it is everywhere. So, while the most influential media shops continue to treat this crisis with only an occasional story here and there, elephants keep dying excruciating deaths. And these magnificent animals have no way to fight back against the enemy. We, however, have the mighty pen. So, I implore fellow journalists, please take up the tool and start writing. Now. Relentlessly. Ceaselessly. Like there's a war going on. Or else in a few years, when the elephants are nearly no more, the predictable headline will emerge and the talk show hosts, the editorial writers and the newscasters will ask that tiresome question usually left when little has been done to stop the inevitable: How, my god, did this happen?